With the role of policing rapidly changing globally, an International Conference, under the topic of ‘Future Policing: Prospects and Challenges for South Asia’ will begin today in Colombo for the first time in Sri Lankan history with the participation of many experts from the field of police and law and order. They will discuss endemic and common issues of policing facing each country and take initiatives to formulate suitable policing laws and structures to provide an efficient police service. The conference has been organised jointly by the National Police Commission (NPC), Regional Centre for Strategic Studies (RCSS) and Sri Lanka Police (SLP), in collaboration with the United Nations (UN), coinciding with the 150th Anniversary of the Sri Lanka Police, at the Kingsbury, Colombo, from October 4 – 6. 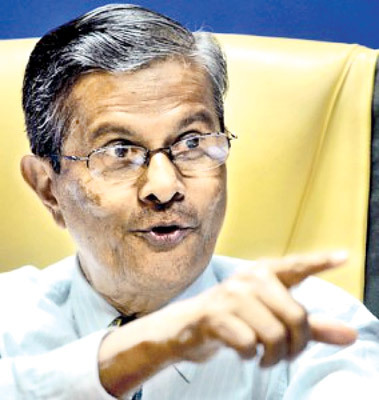 National Police Commission Chairman Prof. Siri Hettige speaking on the international conference, told the Daily News that many broader issues pertaining to police, law and order will be discussed and a policy paper for Sri Lanka will be formulated at the end of the conference for the relevant authorities to practice. Q: Who are the main participants of this conference? A. The conference on ‘Future Policing’ will be attended by serving Heads of Police in South Asia and their representatives, as well as several scholars and experts who have research and practical experience on Policing in South Asia. The event is meant to provide opportunities for senior police officers and experts in the region to meet and discuss various matters pertaining to policing in the region. We are expecting police officers and experts from a number of other countries apart from South Asia too, such as Malaysia, Korea and China. Q: Could you elaborate on the issues which would be discussed? A. This forum will discuss a broad range of themes that are of importance to South Asian countries, such as oversight, accountability, community policing, technology and policing, gender and policing, child protection, terrorism and human rights and environment and policing. Technology and policy will also be one of the main topics. We have identified technological intervention as an integral part of the reform process. The NPC is currently working closely with universities to get the technological support to manage data and set up a monitoring system; these will not be possible without technology. We also hope to learn from the experiences of other countries. Q: Could you explain the need for reforms pertaining to policing in South Asia and in particular to Sri Lanka? A. The NPC was established in accordance with the 19th Amendment in October 2015. Since then the NPC has taken various measures to implement its Constitutional mandate to make the police an independent, accountable, efficient and professional police service. All the measures that we have taken can be found in various documents have prepared as part of the NPC activities. As far as this event is concerned, this connects well with the programmes initiate by the NPC. The international conference is part of a wider programme of work that the independent NPC has launched over the last 10 months. The majority of the South Asian nations still rely on colonial policing laws and structures despite gaining their independence. Today the role of policing is rapidly changing, combined with innovative technologies and policies. Policing is no longer confined to maintenance of law and order and prevention and detection of crime, police now play a vital role in disaster management, environment, eco-tourism and bio-diversity conservation. National boundaries have become porous where the movement of people has increased. Money and material transactions across national boundaries are greater today than in the past while demand for good governance and accountability is increasing. International and civil society organisations are quite active in promoting good governance and accountability. All the institutions and law enforcement agencies should respond to these demands and see how they could adapt by introducing institutional changes and improvements. As far as Sri Lanka is concerned NPC has come up with a whole set of initiatives to make the police independent, accountable and efficient in providing main key services it is supposed to provide. I hope that the event will not be one off event but will lead to further and future collaboration in the region across police and other institutions in Sri Lanka and outside. On the third day of the conference, issues pertaining to Sri Lanka will be discussed and a policy document will be prepared. Q: What is this policy document is going to be all about? A. The document will be prepared on the basis of the proceedings of the conference and that will also be a basis for action by the relevant institutions in Sri Lanka. There will be a team of experts among the participants and representatives from the NPC, Police, Regional Centre for Strategic Studies, UNDP and the Law and Order Ministry will work and contribute for the formulation of the policy document. Q: In your point of view, are there any similarities between the organisational structure and policing between the countries in the South Asian region? A. There are similarities between the systems. When looking back at the history all these nations which were colonies of the Portuguese, Dutch or British, the colonial experiences have influenced the manner in which the institutions and legal systems were established. In terms of issues there are many similarities, yet there are differences too. After Independence, the countries have evolved in different ways. Therefore, not all the problems and the methods in which they are being tackled will be similar; many things will come to light at the Conference. Q: What are the ongoing programmes initiated by NPC to improve the police service? A. We have embarked on several wide ranging programmes. We conduct organisational analysis, performance audit, social audit and a strategic plan for the NPC formulated to perform its tasks more efficiently. The NPC has introduced various policies, such as transfer policies, promotional policies and many are already being implemented. There had been many issues in the past pertaining to promotions of the police officers; it is possible when there are no transparent policies and it would lead to wrong decisions. However, at present there is an independent commission and within that frame work it is much less likely to deviate from evidence-based policies. The policy document which will be prepared at the conference will help the NPC to formulate all the essential policies to ensure a quality police service in Sri Lanka. The Indian police force is entering a new and modern era, with calls for police the force of the country, to be a ‘SMART’ police force which is Strict and Sensitive, Modern and Mobile, Alert and Accountable, Reliable and Responsive; Techno-savvy and Trained. Furthermore, a major break-through in introducing community Policing was achieved in 2005 through the Police Reform Project (PRP), which aimed to modernise and reform the Police with to establish the rule of law and making police a service-oriented, pro-people institution which will be accountable to the people they serve. Meanwhile, Pakistan becoming one of the first South Asian countries to incorporate norms of democratic policing, into its legislation, having been ruled by the Police Act of 1861, until 2002, like other nations in South Asia. These have now been slightly diluted and only partially applied amongst the provinces. These advancements have all had immense ramifications on police forces across the world and shaping its future, particularly in South Asia. Meanwhile, Afghanistan, Nepal and Maldives, continue to be faced with a dearth in training on procedures and safeguards governing police powers, proper processes over recruitment and appointments, and low standards and facilities in police stations. Special emphasis therefore needs to be made looking towards the future; gathering the already pre-existing best-practices within the region, honing and streamlining levels of professionalism within the police forces and tackling the underlying flaws within the system. Last year, the world leaders adopted the 2030 Agenda for Sustainable Development, which includes a set of 17 Sustainable Development Goals (SDGs), of which policing heavily speaks to several of them. The concept of policing in Sri Lanka started with the Dutch (1602 to 1796), and thereafter, during the British period (1796 to 1948), the functions of policing emerged to be clearly defined with the enactment of the Police Ordinance No. 14 of 1865. The Police, which was exclusively confined to the maintenance of public order, had to meet demanding responsibilities during the armed insurrection in the South in 1971 and thereafter from 1987 to 1990, and the violent conflict in the North and East from 1975 to 2009. The latter developed into a full blown war since the early 1980s resulting in the biggest national security threat in the post-independence period. 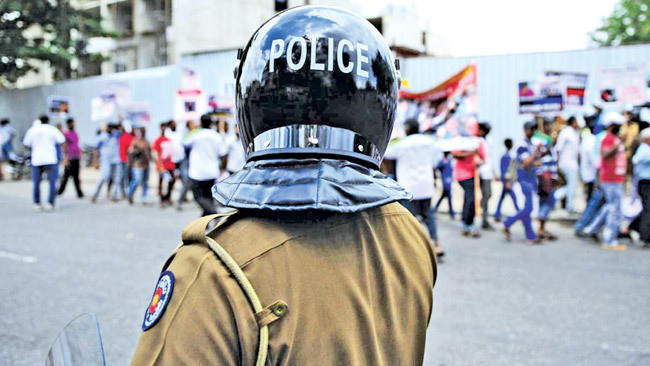 As a result, the role of the Police was transformed from baton carrying unarmed Police force to a well-armed Police force to safeguard national security and public order in Sri Lanka. During the conflict, between 1975 and 2009, the Sri Lanka Police was often preoccupied with counter terrorism and national security tasks. The situation began to change only after the end of the war in 2009. With the end of the war in Sri Lanka in May 2009, the Police service has gradually shifted from a “securitised” form of policing to a community-oriented policing. Yet the transition has been slow due to diverse circumstances. Policing has always been a challenge in developing countries since limited resources and organisational weaknesses constrain the effective and efficient deployment of available Police personnel, both functionally and territorially. In more recent years, Community Policing has emerged as a major strategic pillar of policing practices. Community Policing is a strategy that makes the Police more effective at crime prevention and control through community engagement. While celebrating its 150th Anniversary in September 2016, the Sri Lanka Police has prioritised the Community Oriented Policing (COP) that stresses policing with and for the community rather than policing of the community, with a view to improving the quality of life of individuals and communities. To achieve these objectives, many innovative avenues are being explored at present through inter-institutional collaboration, in particular through closer community engagement, much like its regional counterparts. Thus, the marginal successes of South Asian nations when adequately and proactively responding to the urgent need for policing reforms; the common roots from which their policing acts come; the overlapping issues that each country faces; and the growing support for collective and integrated action, all provide an opportune moment to look at the future of policing in the region. Particularly this is posited, with the motivation of finding a South Asian model to policing, which can be adopted to better suit the diversities and norms of the nations.